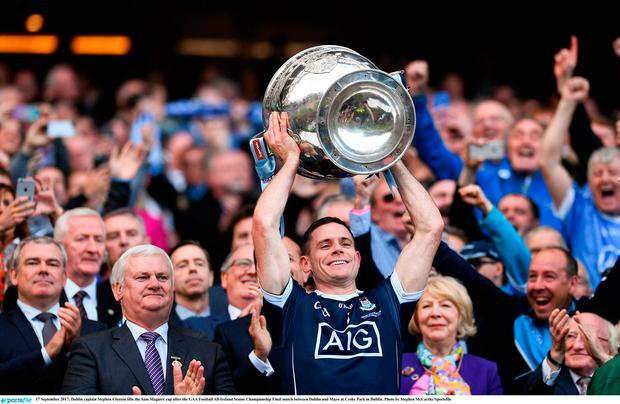 Dublin GAA and AIG have renewed their partnership for a further five years. The current deal had been due to expire in November but the new pact means that by the time the extended arrangement comes to an end AIG will have sponsored all four codes in Dublin for ten years. Speaking ahead of the announcement Dublin County Board Chairman Seán Shanley said: “Today’s announcement is a massive vote of confidence from AIG in Dublin GAA from grass roots level right up to our senior teams. Both Dublin GAA and AIG have gone from strength to strength over the course of the last four and a half years and this long-term commitment will allow us plan for the development of our games in the county on a sound financial footing.